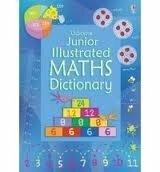 Presents a maths dictionary with explanations of the key terms and concepts from KS2 and up. This title explains each concept alongside worked examples of alternative methods as well as hints, tips, shortcuts and strategies. It is suitable for students and parents alike.